Is your donation platform active? Do you have a social media strategy to push your campaign? Will your campaign be accompanied by one, two, three email blasts? Who will be responsible for any edits, posts or updates on #GivingTuesday? Are your paid advertisements scheduled? It’s the last call for prepping your full suite of digital materials, so in the spirit of the holidays, check your list twice. 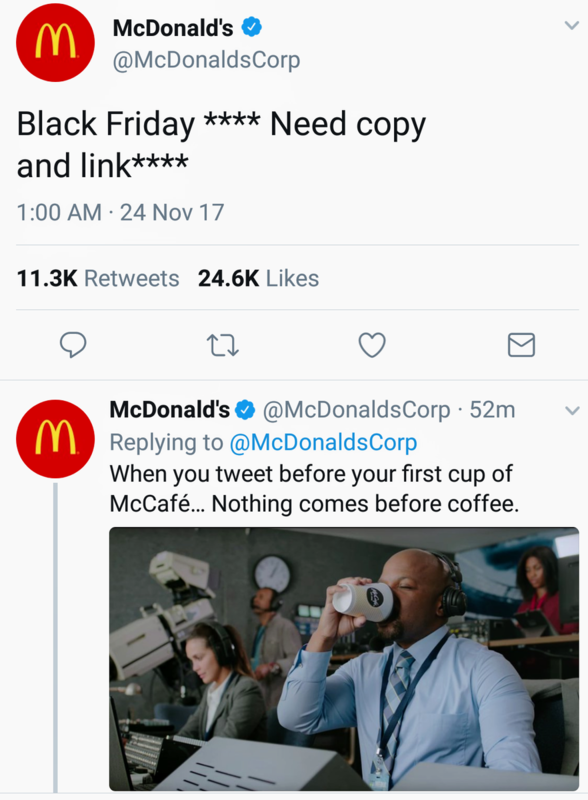 Don’t be the Black-Friday-McDonald’s twitter. Before you leave the office today, go through all of your materials to make sure links are working, spelling and grammar are checked, and your photo content is visible. It’s not enough to sit back and sip a spiced latte while scheduled posts roll out. Monitor your org’s social media platforms closely during the day so you can actively engage with donors before and after they make donations. You can proactively seek out new followers and donors with targeted tweets, and should be ready to engage any users who directly mention your org in a tweet or post! It’s not too late to ask your own audience to show their support using a custom-created hashtag. Hashtags not only make your campaign easier to monitor, but they also create social media buzz about your organization. Choose a unique keyword/phrase to avoid overlapping with other organizations, but keep it simple enough for followers to remember.